Last month, we reported that Nickelodeon had managed to assemble the entire voice cast from the Nicktoon classic Rocko’s Modern Life for its upcoming revival special, Static Cling. Today, the network showed off its first footage from the special at Comic-Con, reuniting viewers with the nightmarish world of O-Town 20 years after the show went off the air. 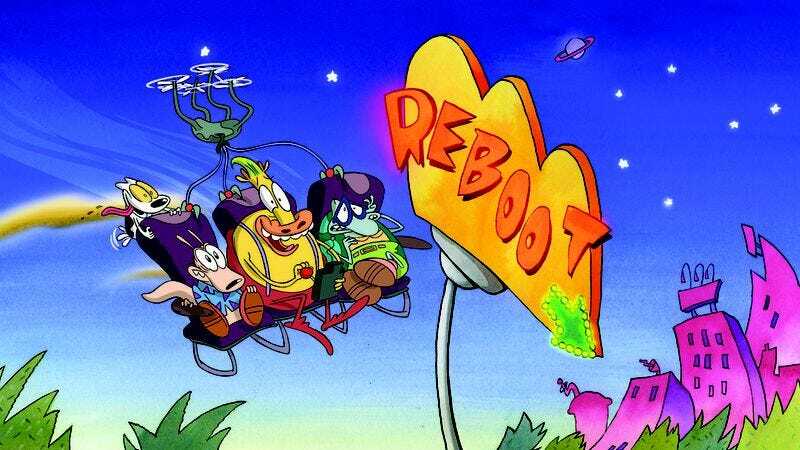 The special’s premise is pretty simple: after spending the years 1996-2017 in space, Rocko and his pals Heffer and Philburt have finally returned to Earth, just in time for the show to take aim at Starbucks, 3-D movies, and the same obsessive consumerism the series has always loved to lampoon. And even if the targets of that cartoon satire are a little dated, it still feels like the old Rocko’s, pitting its good-natured wallaby hero against the big, mean, dumb jerks of the world, right down to a recreation of the show’s old intro that’s been updated for our ever-more-modern lives.